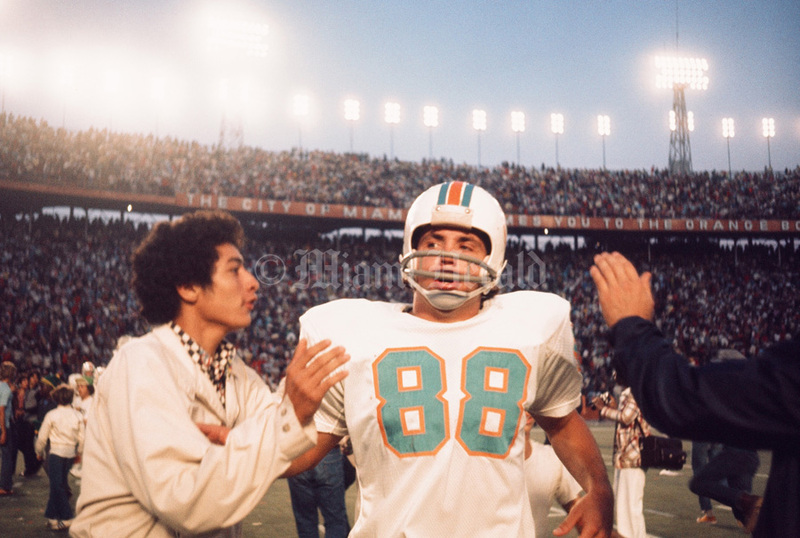 In 1965, the American Football League awarded an expansion franchise to Joe Robbie and television star Danny Thomas for $7.5 million. 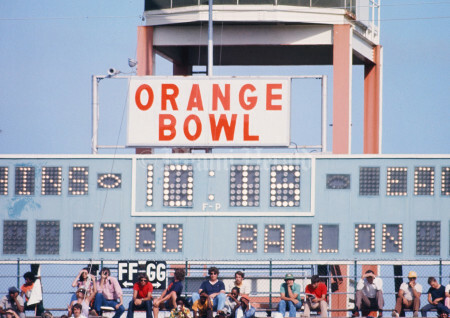 The naming of the franchise was left to the public. 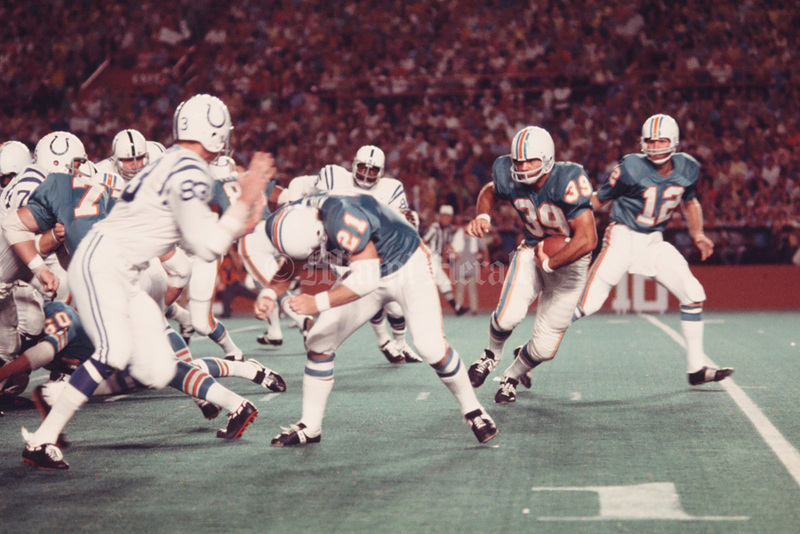 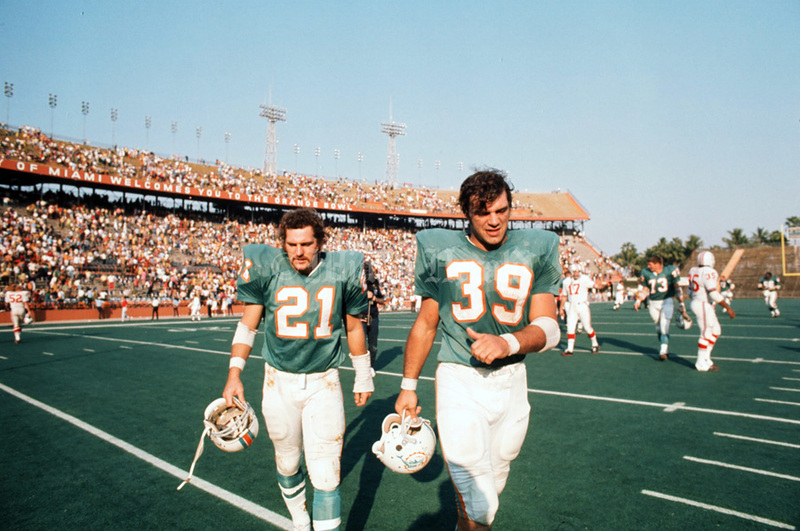 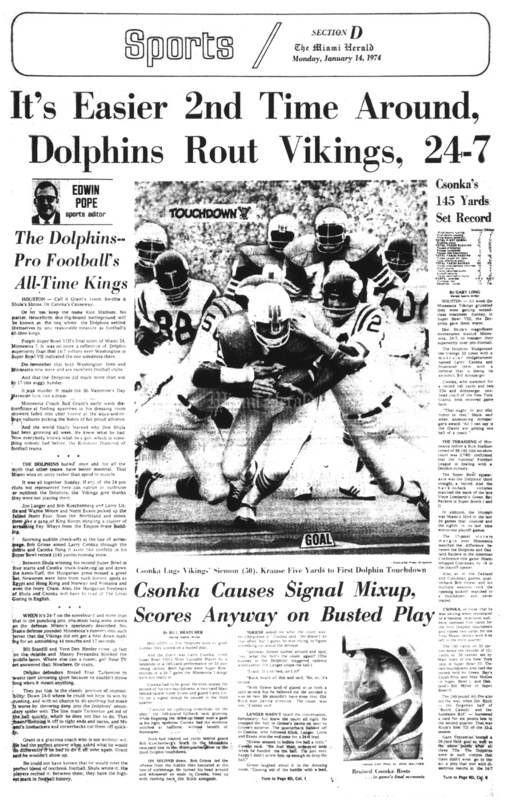 “Dolphins” was submitted by 622 entrants in a contest that attracted 19,843 entries.”The dolphin is one of the fastest and smartest creatures in the sea,” Joe Robbie said in announcing his football team’s nickname. 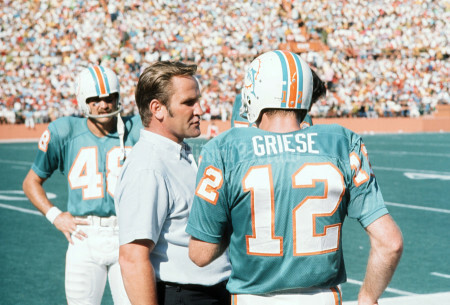 Their first coach, George Wilson, saw the ragtag American Football League expansion through their first four seasons. 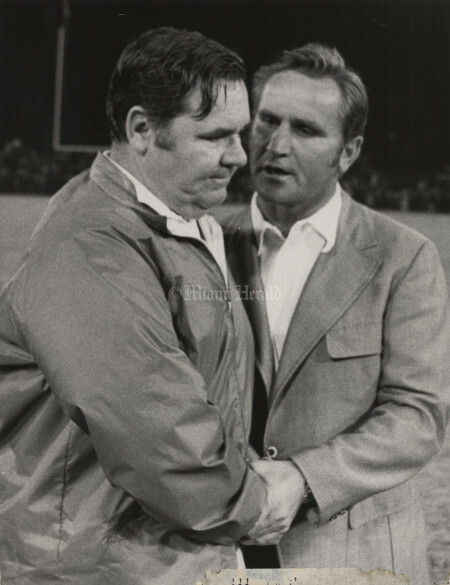 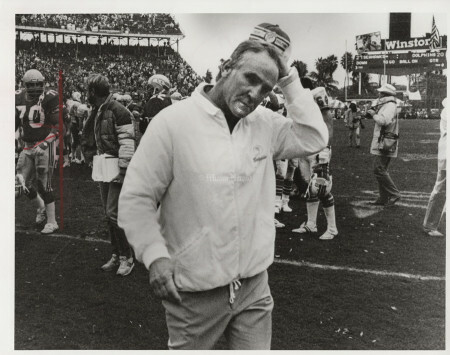 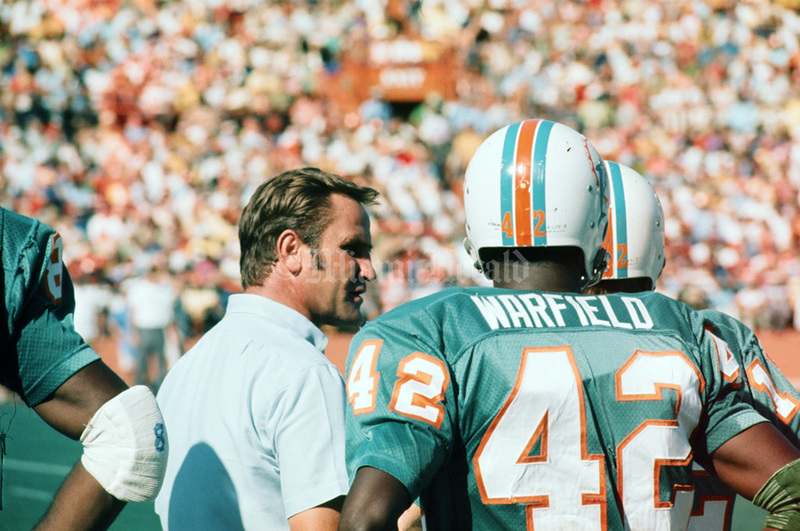 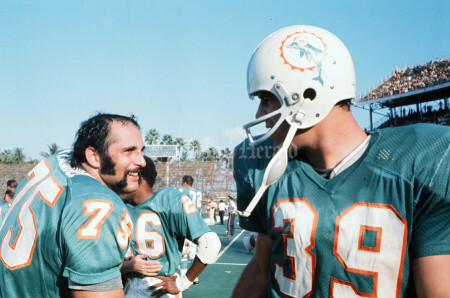 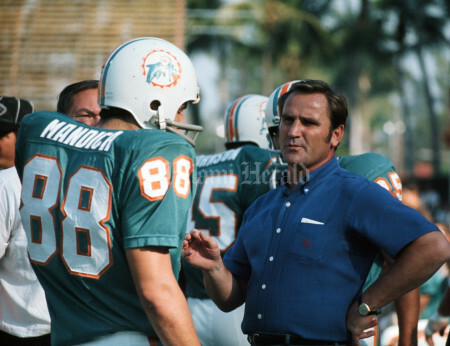 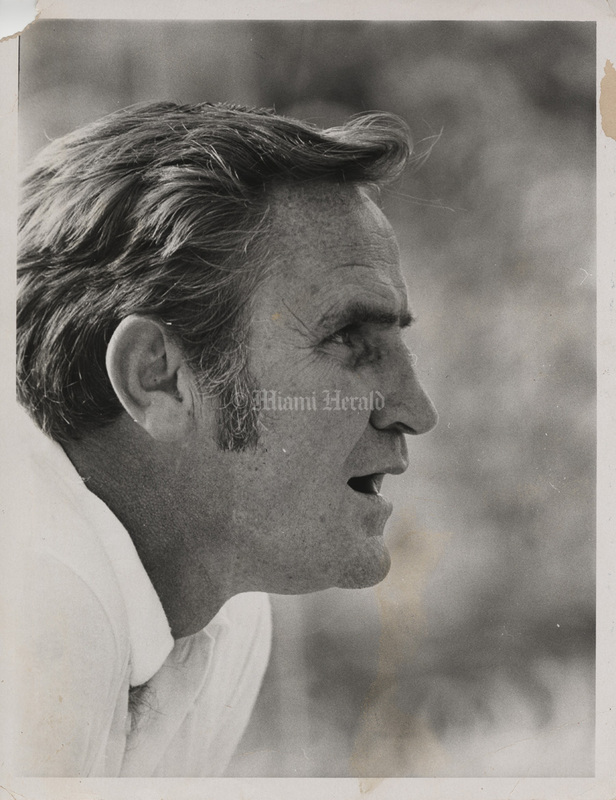 In 1969, Don Shula was signed to become the Dolphins head coach. 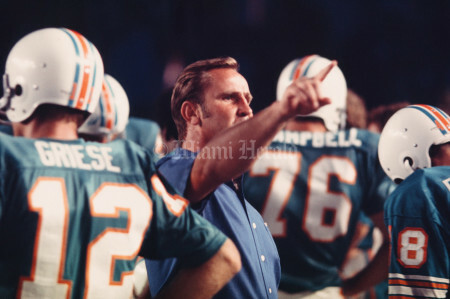 In the next five seasons, the Dolphins saw 65 victories, three Superbowl appearances and two NFL championships. 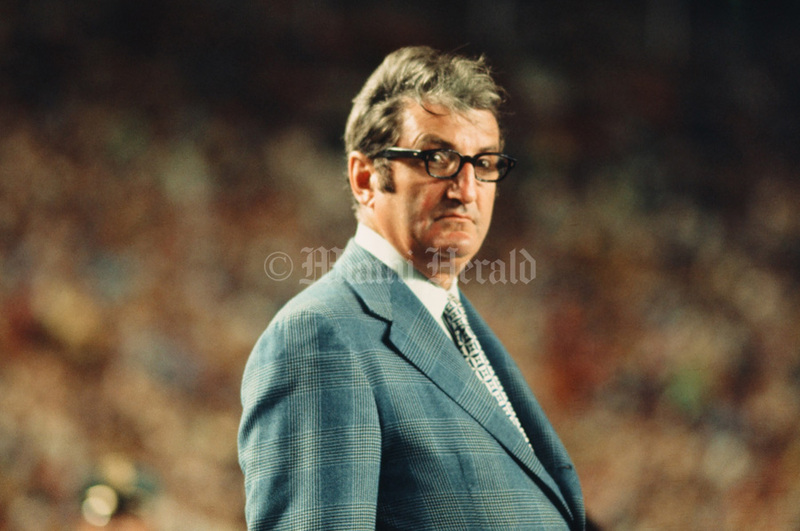 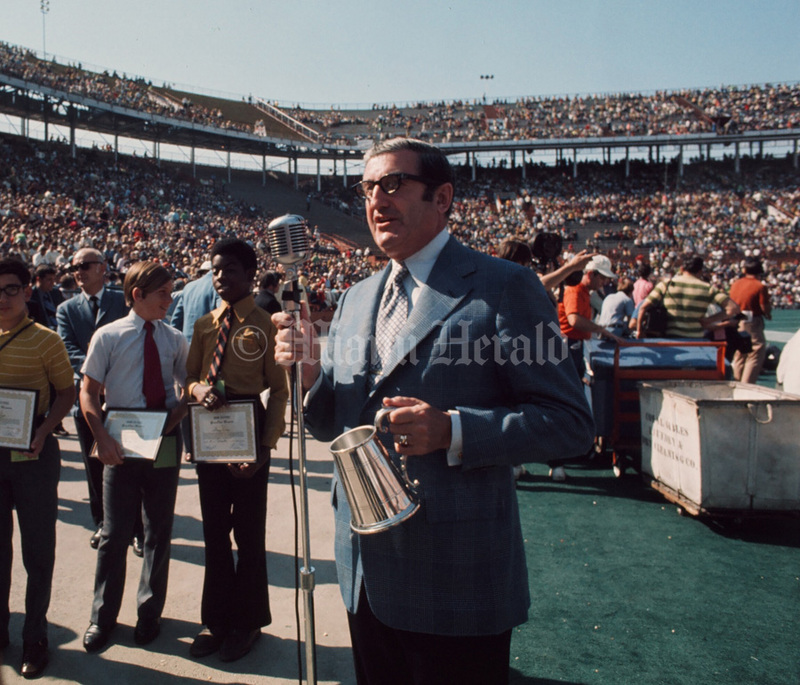 Undated: Joe Robbie on the field at the Miami Dolphins vs. Atlanta Falcons game. 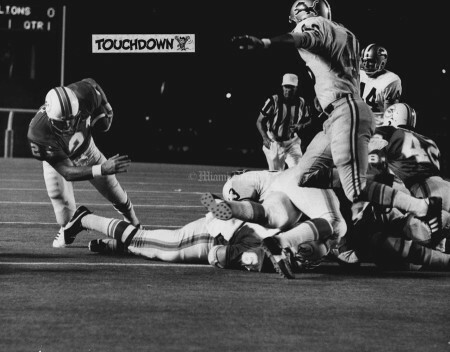 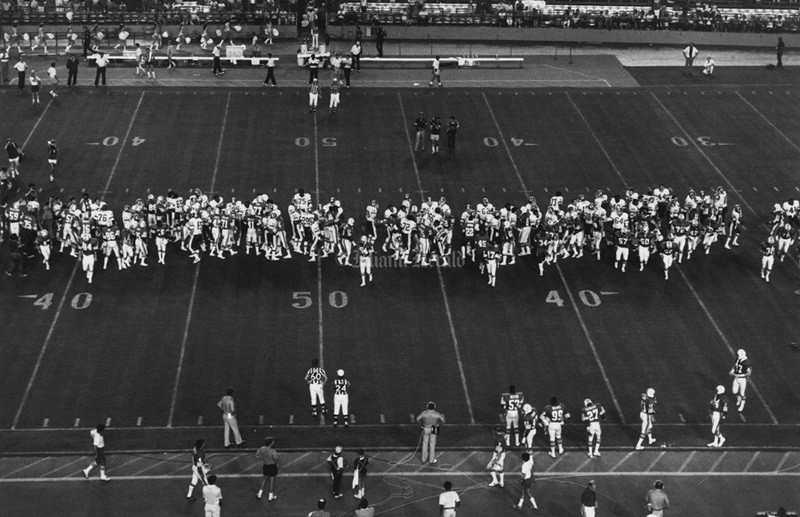 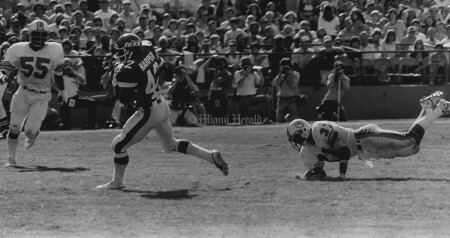 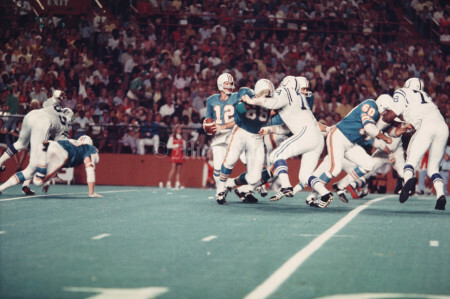 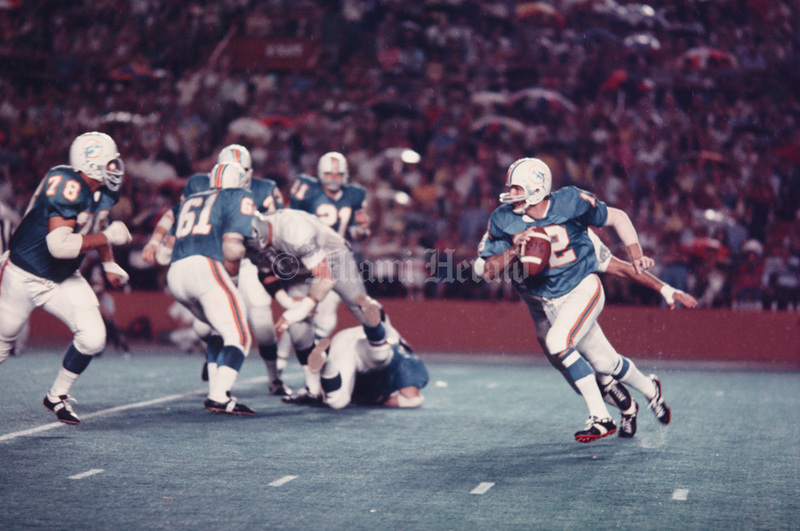 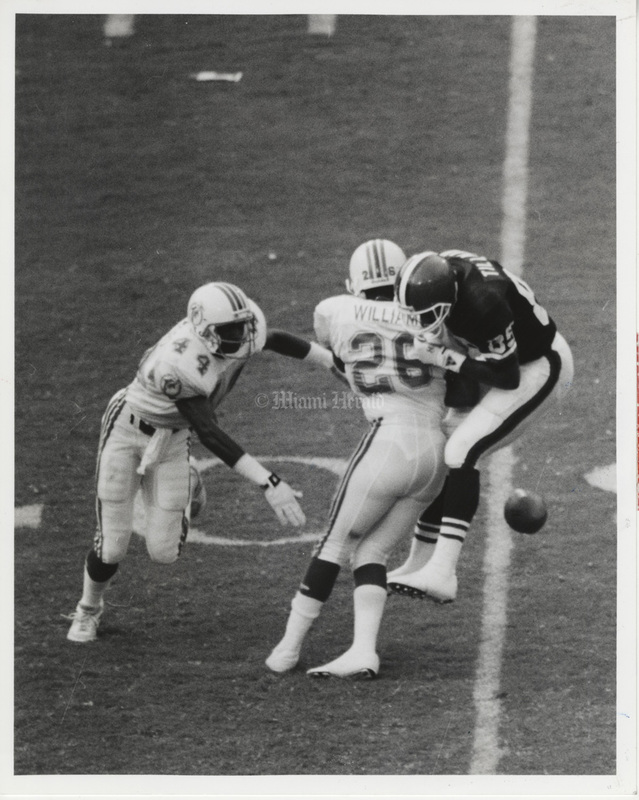 10/12/1975: Miami Dolphins vs. Philadelphia Eagles. 12/11/1966, John Walther/Miami Herald: Miami Dolphins Vs. Kansa City Chiefs. 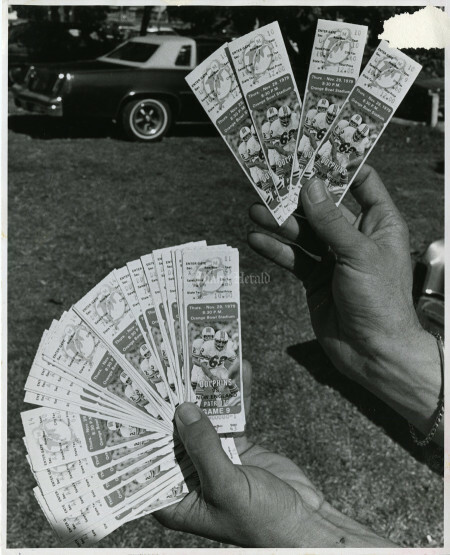 Undated: Lots of Dolphins tickets available and no waiting - from the scalpers standing just outside the Orange Bowl ticket windows where people were lined up to as many as 250 at a time. 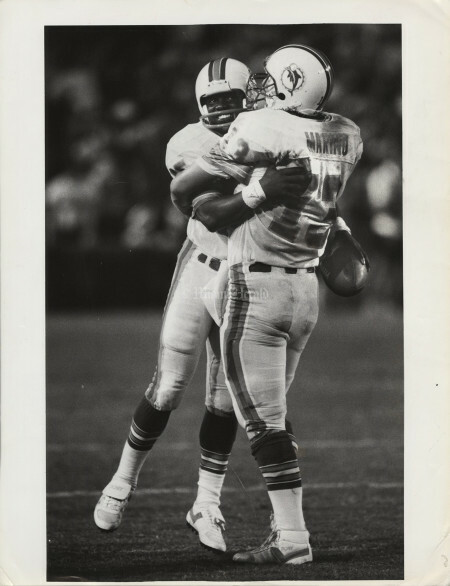 10/16/1988: Miami Dolphins vs. San Diego Chargers. 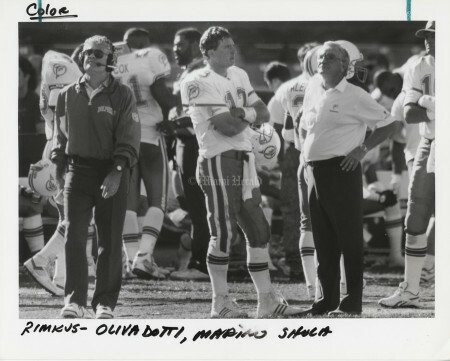 July 19, 1990: Edith Mackey keeping the sun off as Chris and Nicholas Abell and their five-year-old brother Greg Abell watch as the Miami Dolphins take the field at the first day of training camp. 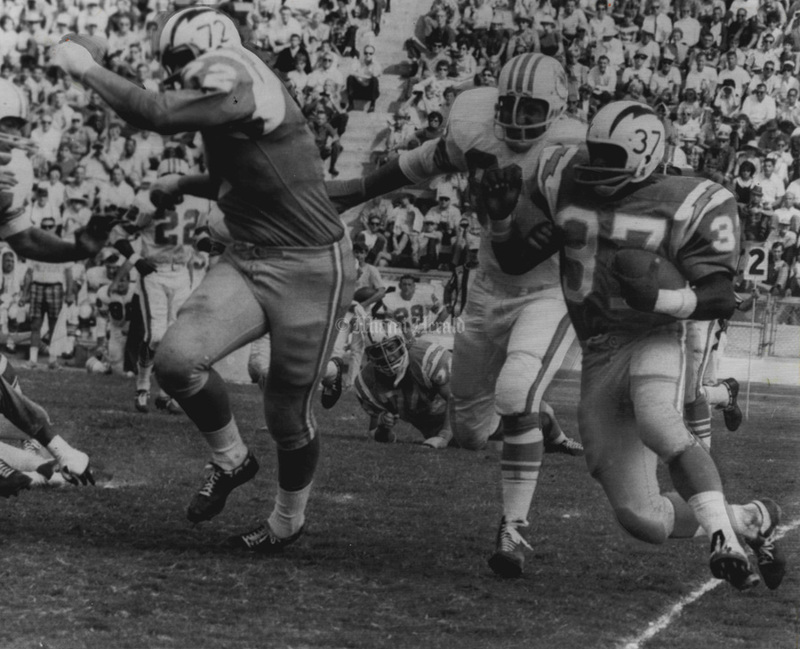 10/2/1966: San Diego Charger fullback Gene Foster, #37, races for a 6-yard gain and first down is 1st quarter of game against Miami Dolphins. 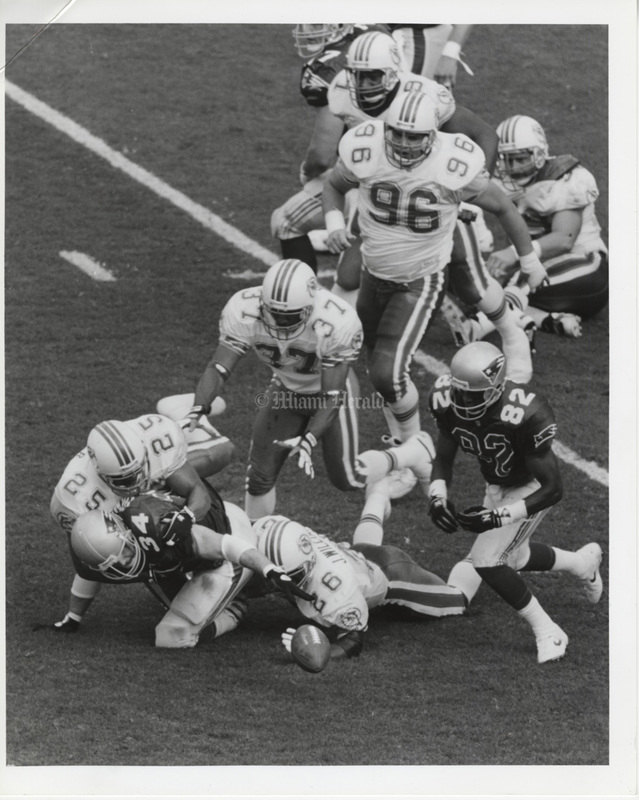 Leading the blocking for Foster is #72 Gary Kirner. 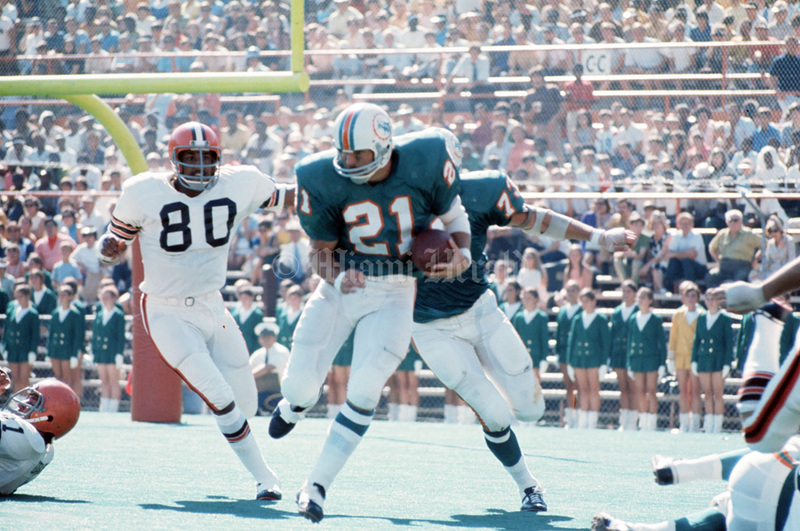 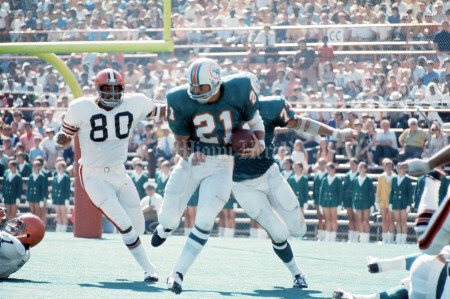 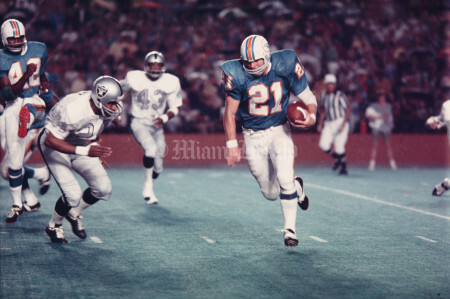 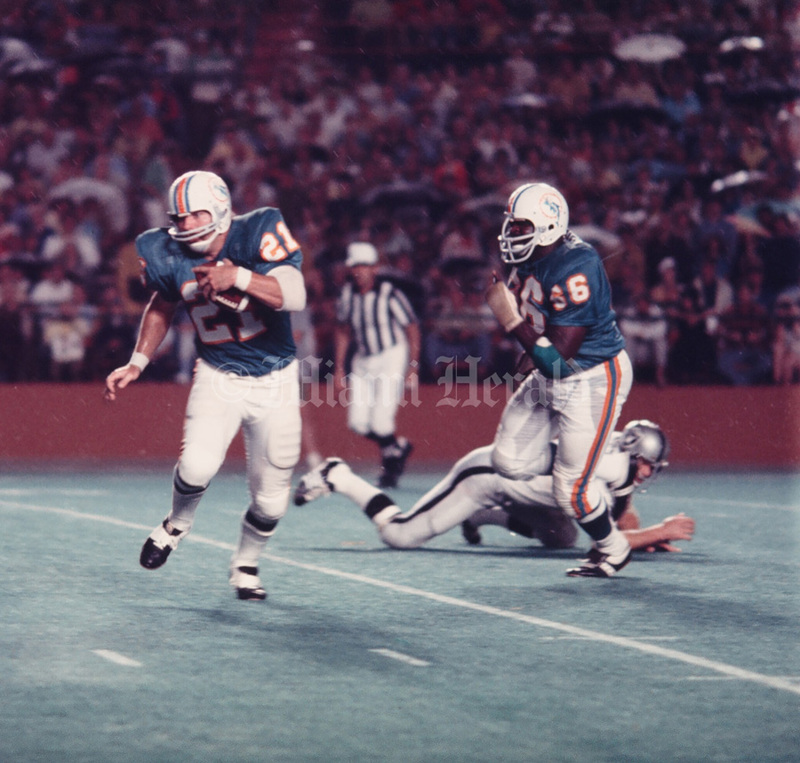 Miami's Ed Cooke trails behind the speedy Foster. 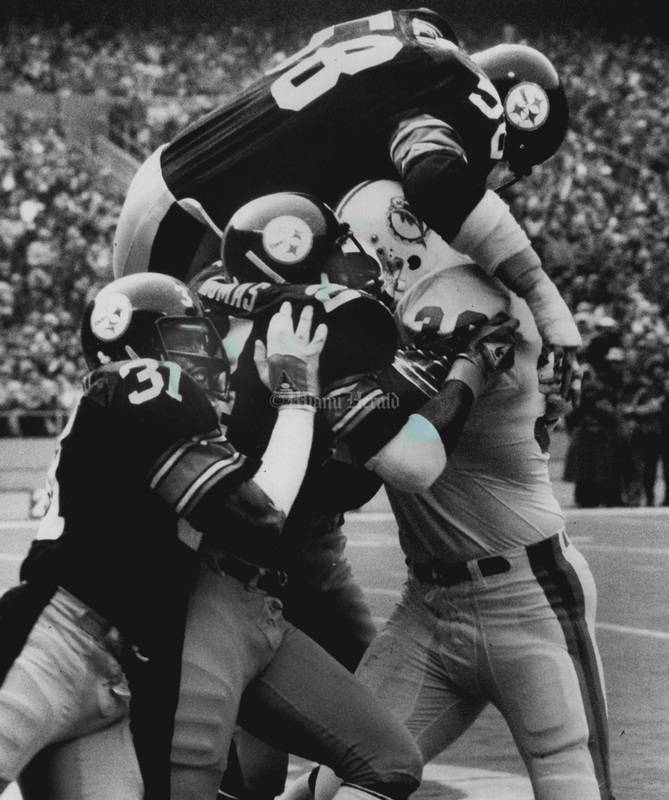 10/2/1966: Miami Dolphin's Karl Noonan Leaps high to grab an 18-yard touchdown pass in first quarter action against the San Diego Chargers. 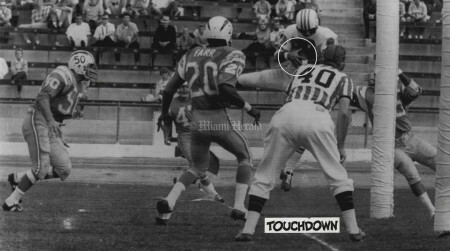 Charger defenders Chuck Allen, #50, and Miller Farr, #20, watch Noonan make grab. 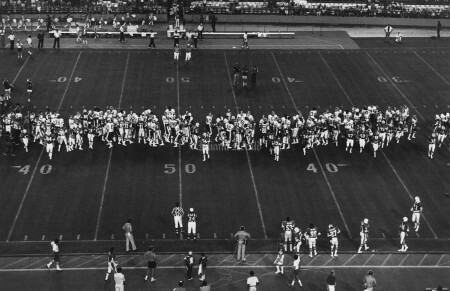 Chargers won 44-10. 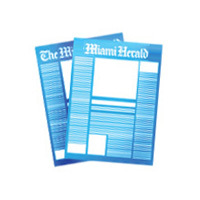 The Miami Herald issue published Sunday, August 16, 1987 in Miami, Florida. 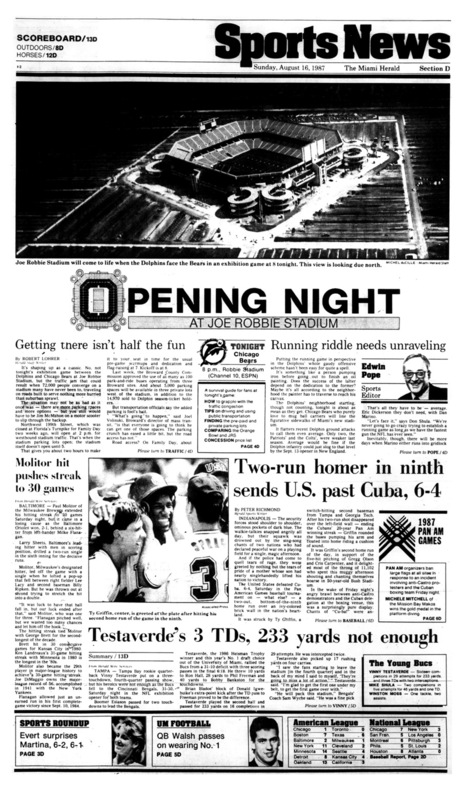 Features OPENING NIGHT AT JOE ROBBIE STADIUM. 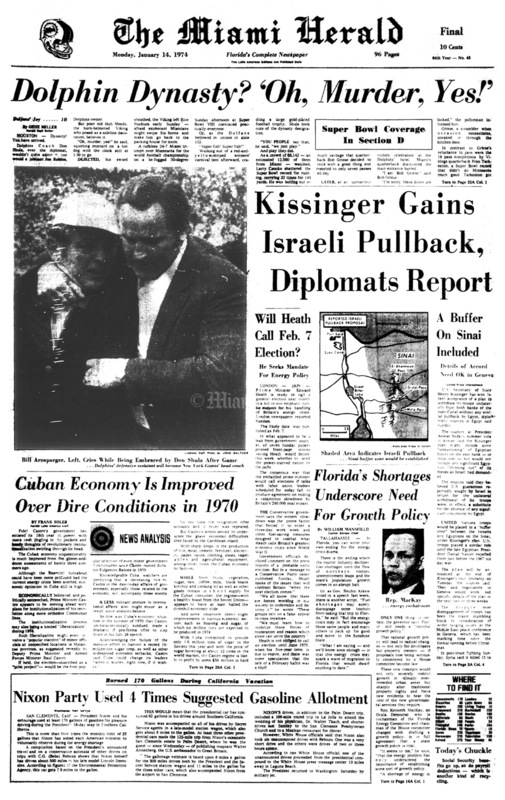 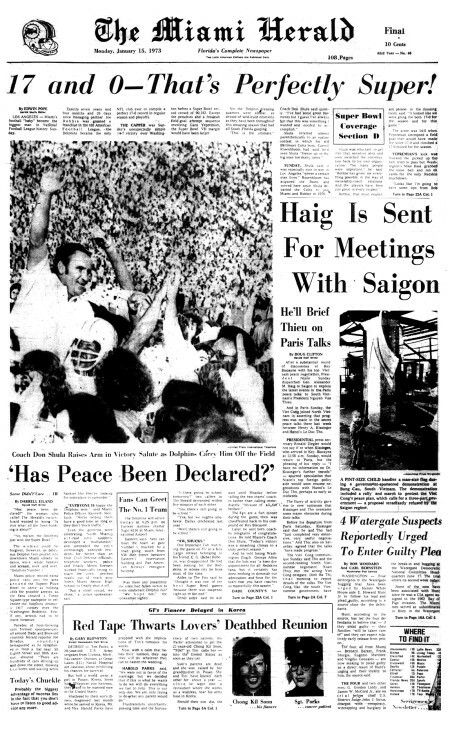 The Miami Herald issue published Monday, January 15, 1973. 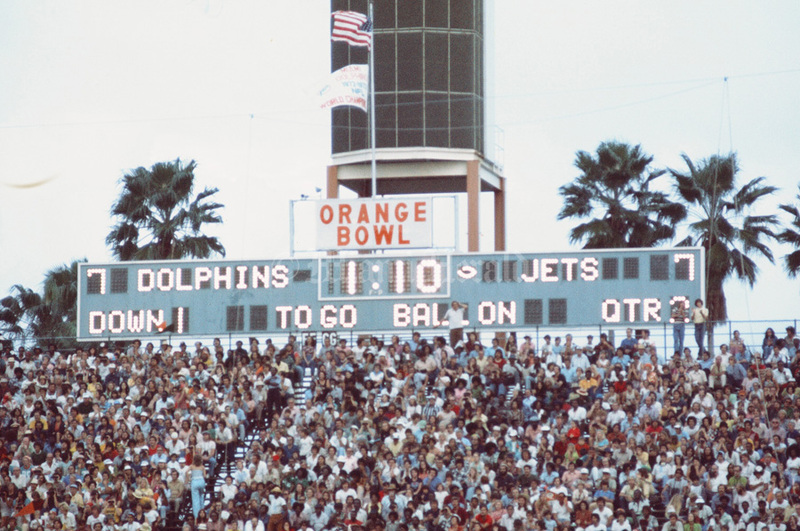 Features DOLPHINS RULE PRO FOOTBALL. 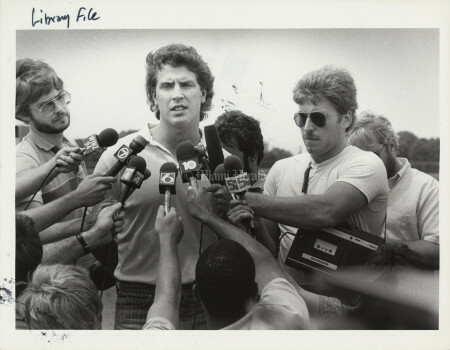 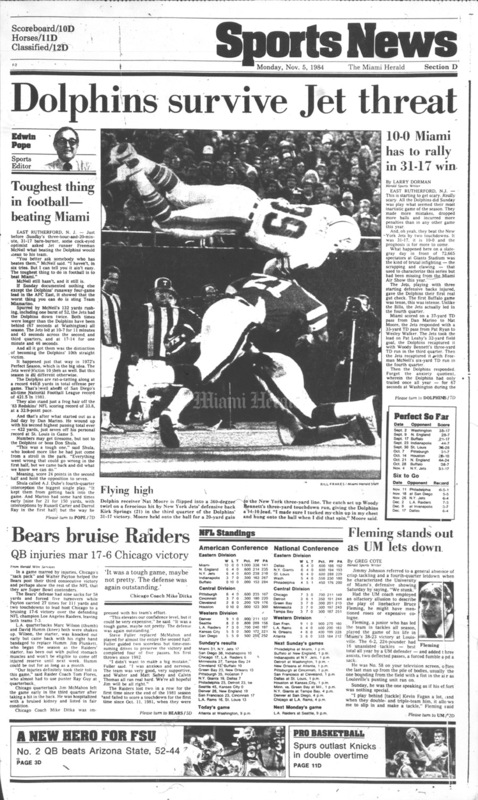 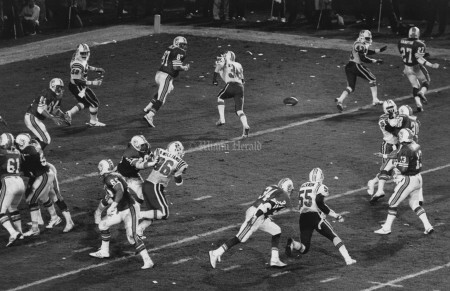 12/23/1986, Robin Shields/Miami Herald: Miami Dolphins Vs. New England Patriots. 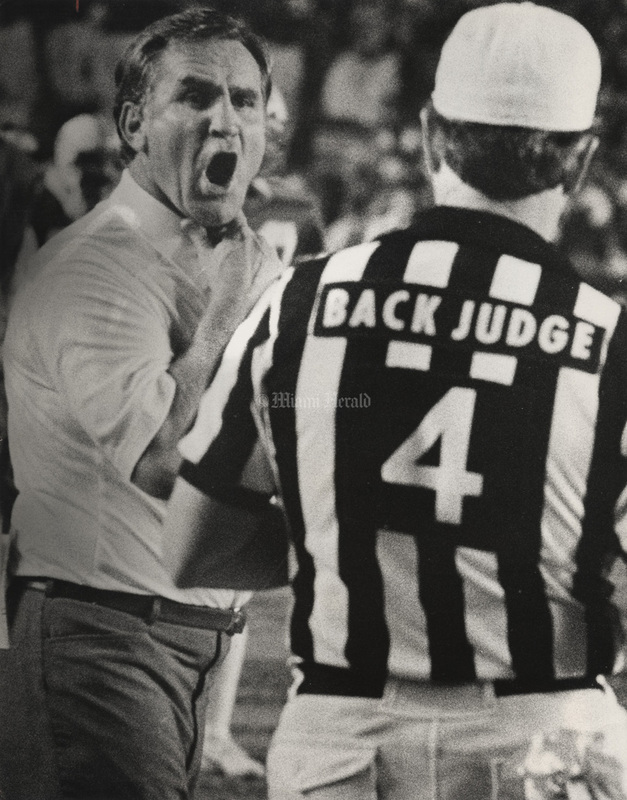 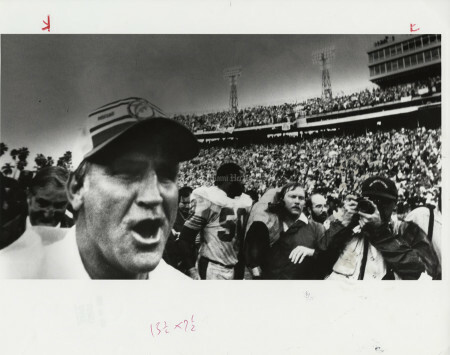 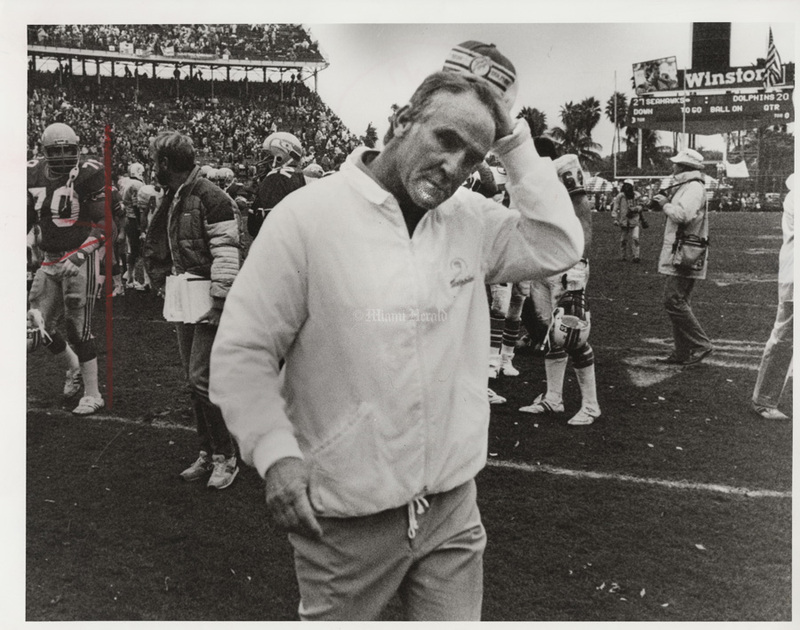 1/25/1983, David Walters/Miami Herald: Don Shula. 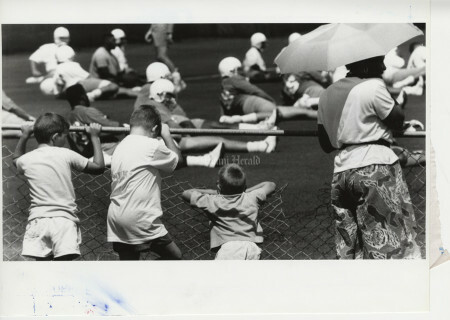 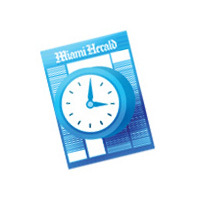 7/31/1994: David Bergman/Miami Herald Staff -- Jarvis Williams, No. 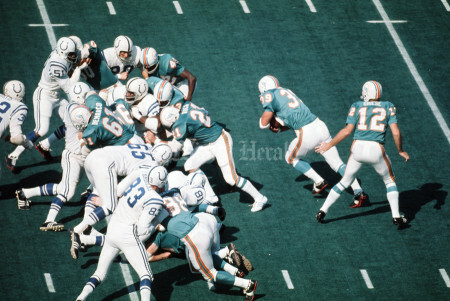 26, is in on the play as No. 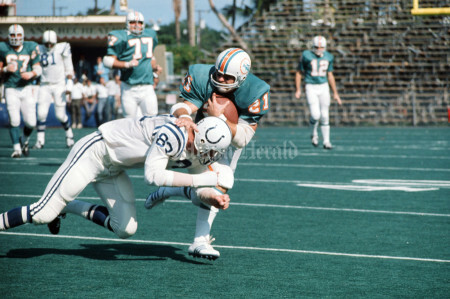 34 Kevin Turner of the Patriots tries to recover his own fumble. the ball was recovered by No. 82 Vincent Brisby of the Patriots. 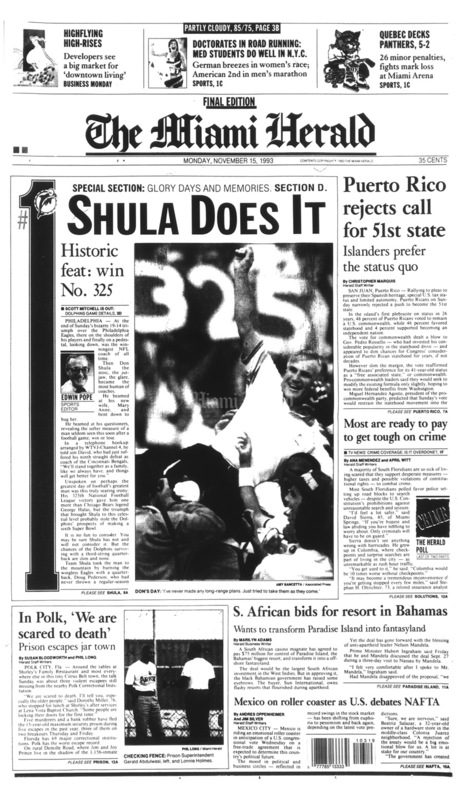 1/1/1984, Bruce Gilbert/Miami Herald: Don Shula. 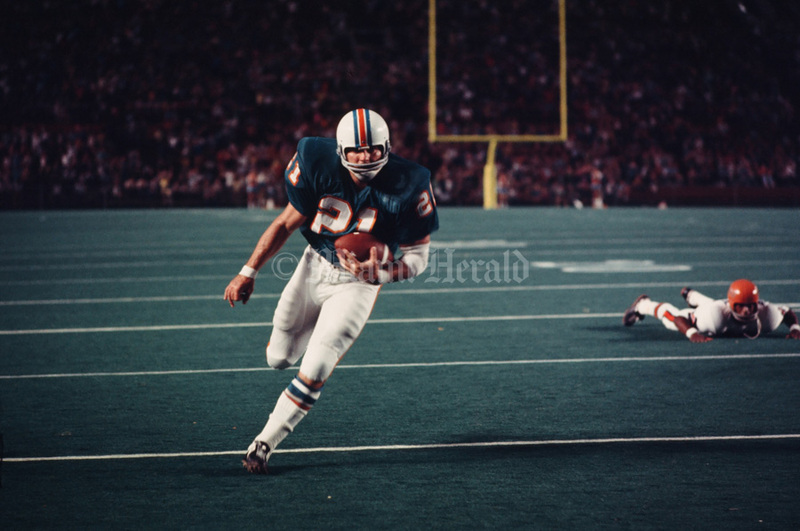 8/14/1982, Joe Rimkus Jr./Miami Herald: Miami Dolphins vs. Washington. 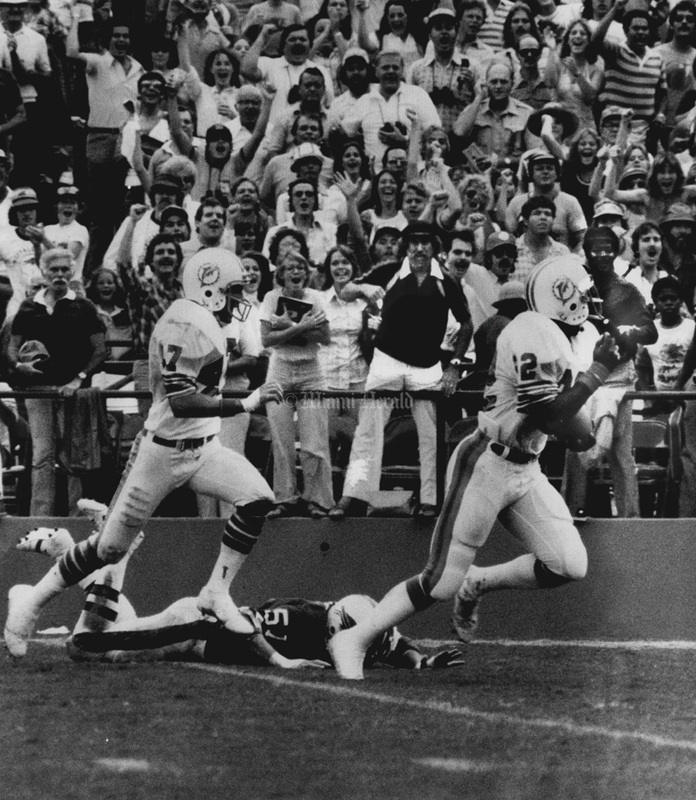 12/15/1979, Bob East/Miami Herald: Dolphins vs. 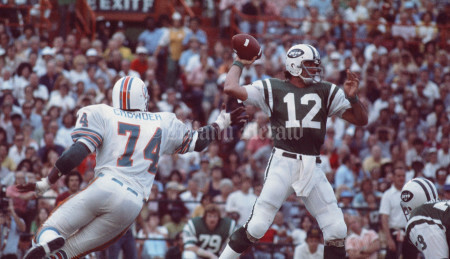 Jets. 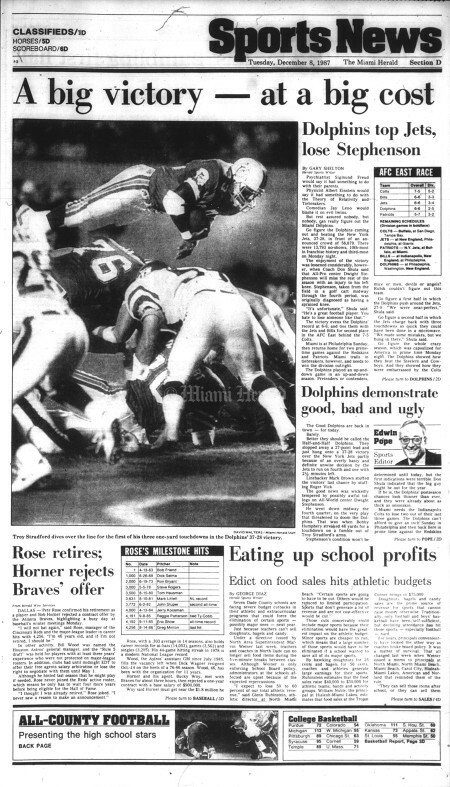 12/15/1979, John Walther/Miami Herald: Dolphins vs. Jets. 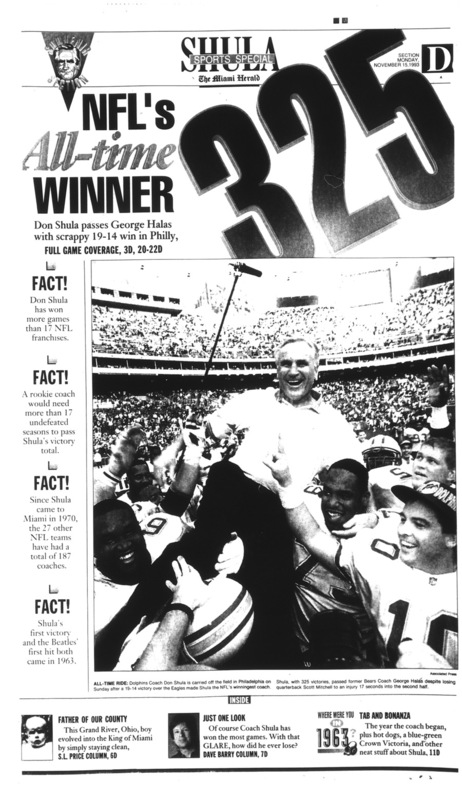 9/5/1994/C.W. 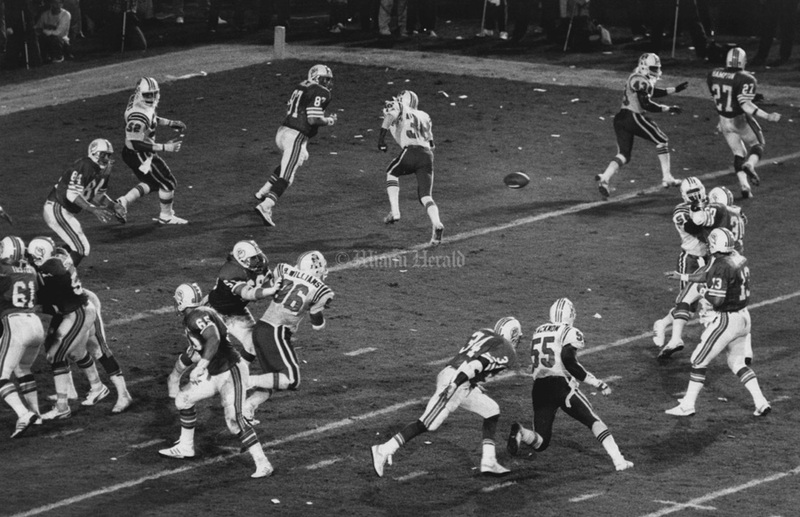 Griffin/Miami Herald: Patriots Ben Coates in 3rd quarter. 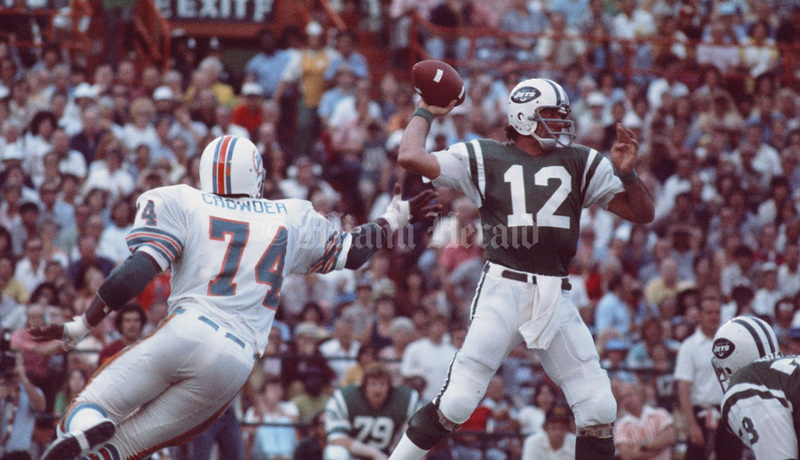 11/9/1975: Miami Dolphins vs. New York Jets. The Miami Herald issue published Monday, January 15, 1973, in Miami, Florida. 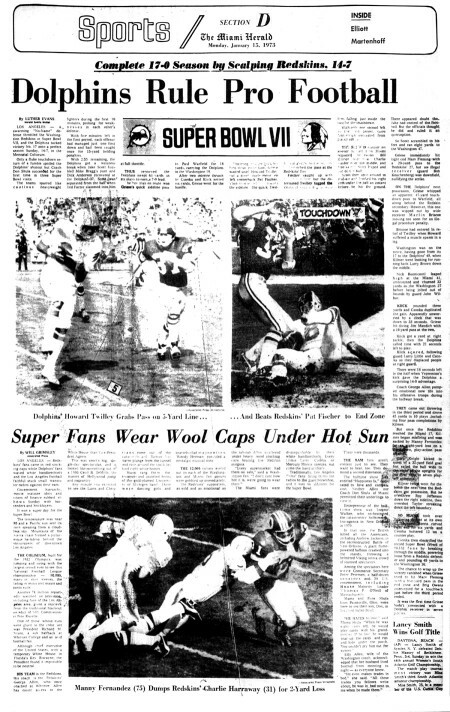 Features 17-0 -- THAT'S PERFECTLY SUPER! 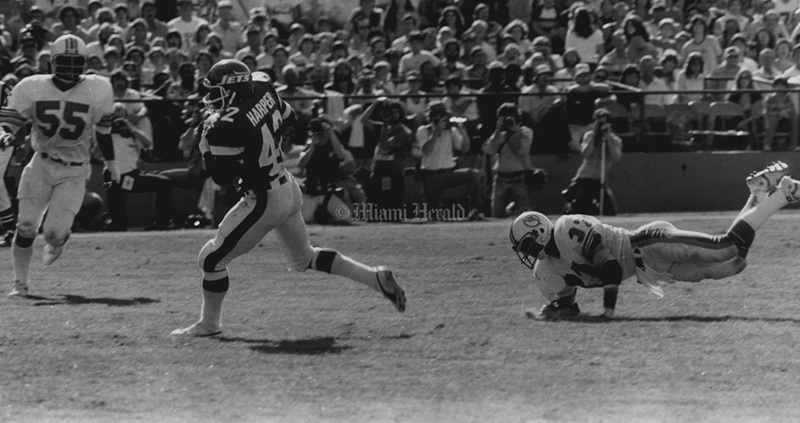 10/11/1989: Andrew Innerarity/Miami Herald Staff -- Jarvis Williams, No. 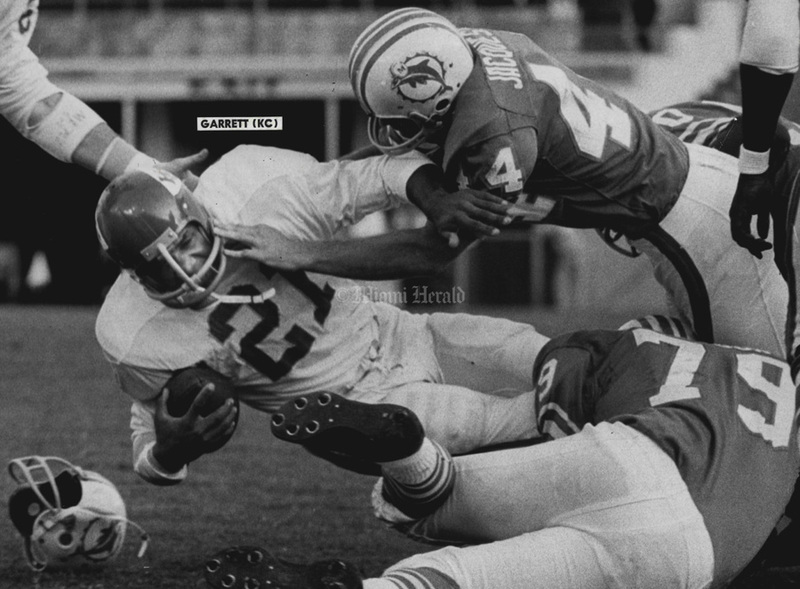 26, makes a crunching hit that breaks up a pass to Lawyer Tillman Sunday, Oct. 8, 1989, as Paul Lankford, left, moves in. 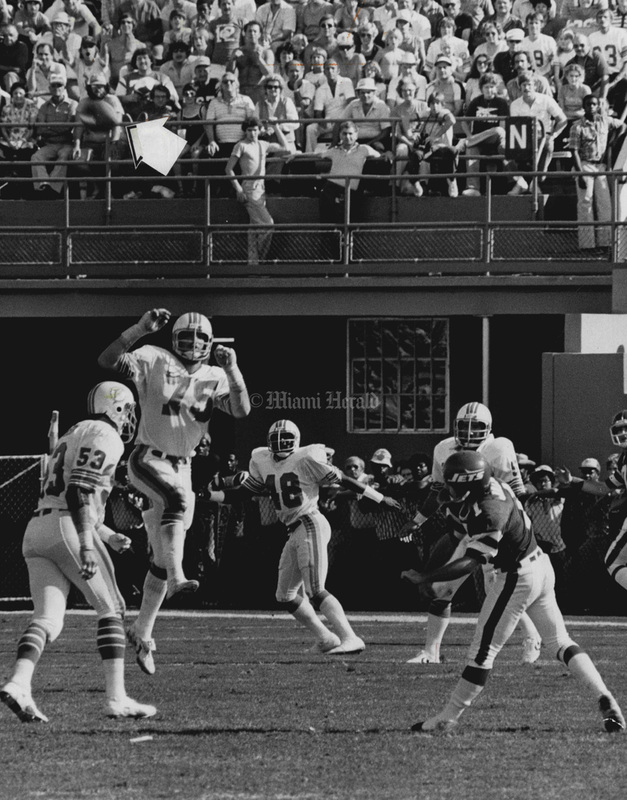 The Dolphins beat the Browns 13-10 in overtime.